What has become of the (Russian) Orthodox people in this regard? I shall detain your for a few more minutes and pass on to you a story about how a certain believing man was present at a Divine Service in Soviet Russia. Those who belonged to the Catacomb, secret Church became convinced of his trustworthiness and invited him to their place, to Vespers. The service was like this: he comes to quite a large, furnished room; it is full of young people -- they are all sitting down, conversing quietly... A little later a man dressed in secular working clothes comes in. A very radiant face of noble lines; they speak quietly to the guest: This is our Batiushka. Quietly and reverently all went up to him to get a blessing, he reverently and unhurriedly blesses, then everyone sat down again in their places, having placed books in front of him; in these books was the Divine Office of Vespers. The young people put, on a phonograph record that played so that people on the outside would think that the young people were having a party and dancing. The priest pronounced the last part of his prayer audibly, they answered him softly, and gradually, under the sounds of worldly music, they finished serving Vespers. They asked him to the liturgy, too, but they said that one could not serve the liturgy that way -- it would in the church. They brought him to the outskirts of town, by outward appearances to some sort of completely deserted, torn down barn, in which, inside, everything was arranged as in a church. And there they had the liturgy. He says that one must see how they prayed at this liturgy, all these unfortunate people. Now here one may also say that the deeper the affliction, the closer is God. We here are lazy and do not go to God's temple, where there is no danger at all, while there people at terrible risk go and pray to God. This man asked one of these young people, "Aren't you afraid? There have been incidents where they have uncovered such "Catacomb Christians" -- and there followed the most cruel punitive measures!" They calmly answered him, we are not afraid of anything; faith is dearer for us than everything. We are prepared to die for the Lord; neither unpleasantnesses, nor deprivations, nor oppressions, nor tortures, nor death frighten us -- nothing terrifies us. But the Lord keeps us." But we, here -- living in freedom and having the opportunity to go to the temples of God as often we please -- regrettably, we do not take advantage of this mercy of God as we ought. Here we are today: a great feast, however, are there many people here in the temple? I repeat- if it's to go to a place of entertainment, then there will be a far more people there than here... But the Mother of God lived in the temple of God and this is our lesson, that parents and educators and all on whose conscience the upbringing of children lies, before all else accustom them to the temple of God. 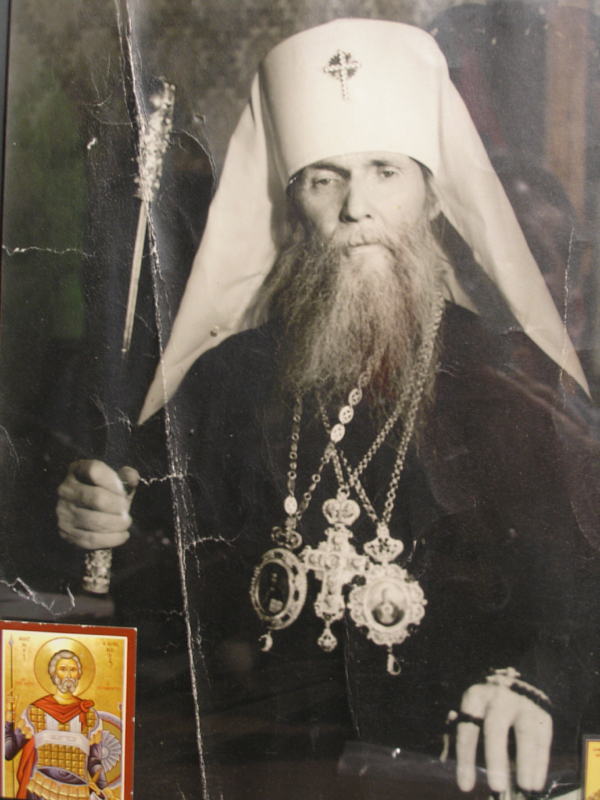 Bishop Theophan the Recluse very profoundly and touchingly used to talk about the fact that everything to do with the church is akin to the essence of a child's soul, it quickly becomes used to it [church] and clings to it. And blessed is that child who from his childhood continues to visit the temple of God, for here he will receive such a spiritual "seasoning", such spiritual wealth as he will receive in no other place. Therefore, brothers, we must not only go to God's temple ourselves, but 4..... and concern ourselves that our children be there as often as possible. I knew a fine family, where the children used to get up for the early liturgy earlier than their parents, and pressed them to bring them to church quickly. And this was not in the "good old days," but in most recent years, after the revolution we had, in the Par East. Once more I say: Blessed is that child who has the opportunity in his childhood years to receive as many holy impressions, grace-filled sanctifications, and illuminations in the temple of God as possible. The house of God is the house of prayer; in it the Lord, by His grace, is closer to people than anywhere else; therefore we ought to take pains ourselves in going to church, and continually accustom our successors, our children, to this. Amen.